A Wednesday afternoon on the A44 would probably not, for most people, be the kind of place to provoke thoughts of now near long-forgotten road races, especially road races that once took place on the island of Sicily. But it’s not the scenery that has my head filled with faded images of exotic open-topped racing cars; it’s the way it’s framed. The view through a Porsche 911 windscreen and over the top of its curved front wings is very nearly the same now as it was in 1965. That was the first year that the Stuttgart based manufacturer applied the Targa nameplate to their 911 after British driver Colin Davies won the gruelling Targa Floria (in a 904GTS) the previous year. Fifty years on and I’m in the latest version of the 911 Targa in the mountains of Mid Wales. OK, so it may not be the Mediterranean (the weather certainly isn’t as warm for a start) but it’s good enough for me. A few miles back I stopped to brim the Targa’s front mounted fuel tank and then pressed the button that starts one of the most mesmerising folding roof mechanisms I’ve ever encountered. In a bid to get around ever stricter Californian laws relating to convertibles, the original 911 Targa had a fixed stainless steel roll-bar and a removable plate above the driver and passenger that once removed (by hand) had to be stored in the luggage compartment. 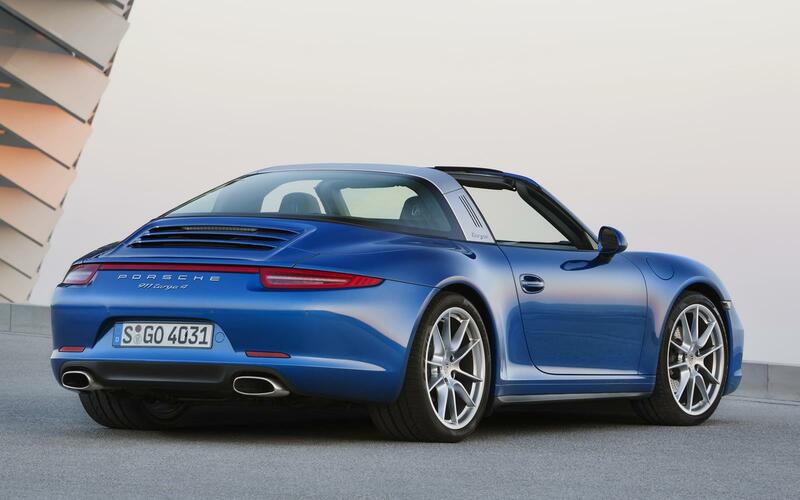 That explains the name; Targa translates as plate in Italian. Today the whole process of going al-fresco is completed in just 18 seconds. 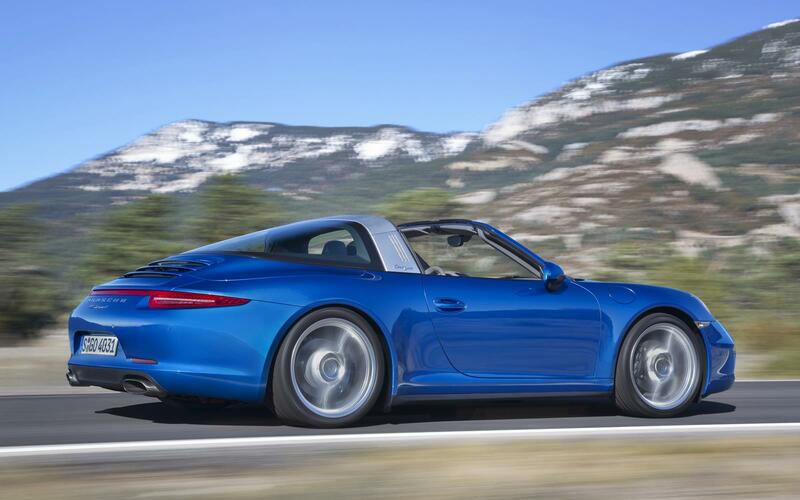 First the Targa’s domed rear window hinges up and rearwards, then the hard fabric roof panel slips back before folding away underneath it; the glass canopy then comes back again. All the time, throughout the electro-hydraulic ballet, there’s a fixed roll-bar that stays in place, paying homage to its iconic ancestor. I can’t begin to fathom how the Porsche boffins worked it all out but I love it nonetheless. Even with the roof open, with the air-con set to cosy and with the seat heaters on, it’s incredibly easy to make very rapid and, more importantly, very comfortable progress. The only trade-off for a little extra wind noise being the ability to more clearly hear the noises from behind. And what noises they are. 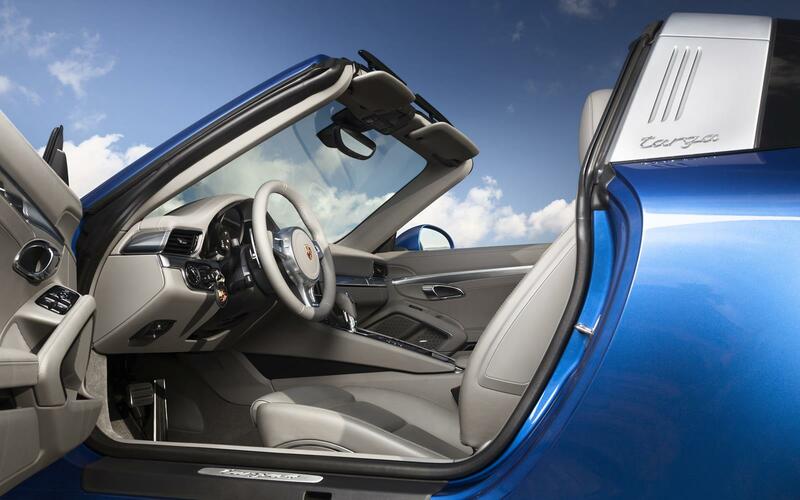 A sonorous six cylinder symphony plays out behind you as you brake for corners, flick a finger to change down a gear or two via the steering wheel mounted paddles that control the seven-speed PDK gearbox, and then accelerate away again. At low revs it’s a deep full, bass note with trademark metallic overtones. 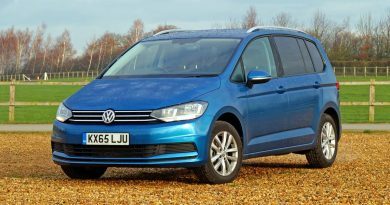 A stretch of your right ankle is all it takes to turn it in to a high-pitched wail reminiscent of those that Works Porsche drivers such as Davies, Elford, Attwood and Maglioli would have known so well. Not that I’m racing today, I hasten to add. Despite having 350PS at my disposal, four wheel-drive, and the ability to sprint to 62mph in 5.0 seconds, I decide it’s best to relax a little, switch on the DAB radio, and revel instead in just how well-engineered the Targa feels. Both steering and pedals are weighty yet beautifully precise in their action, while the brilliantly clear and now iconic five dial dashboard sits straight ahead, with the tacho taking centre stage. Everything you touch feels like it’s been built to survive a nuclear winter. Chopping the roof out seems to have made little difference to the way this 911 feels; there’s no deflection, no tell-tale scuttle shake. With build quality like this it’s no wonder that Porsche won more Targa Florias (and Le Mans for that matter) than any other marque. 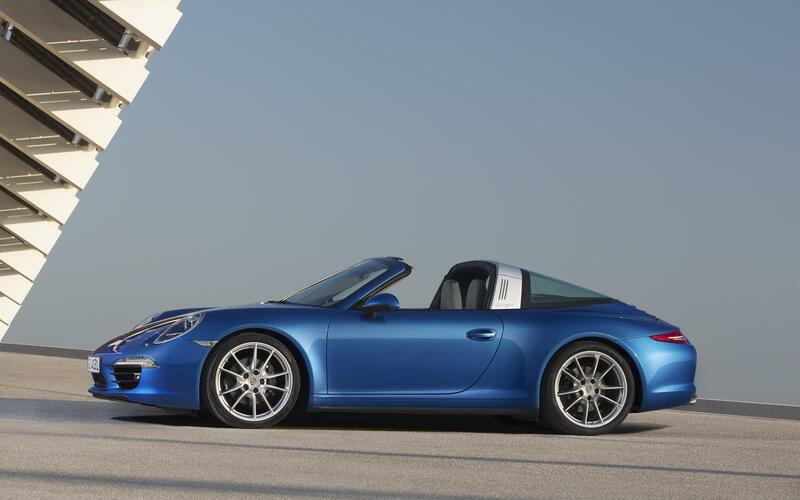 A single lap of the Targa Floria’s torturous circuit was 43 miles long, taking an hour and a half. Thanks to the odd inevitable tractor and a few mid afternoon dawdlers I’ve completed only a few more miles. It’s time to stop and collect my thoughts. 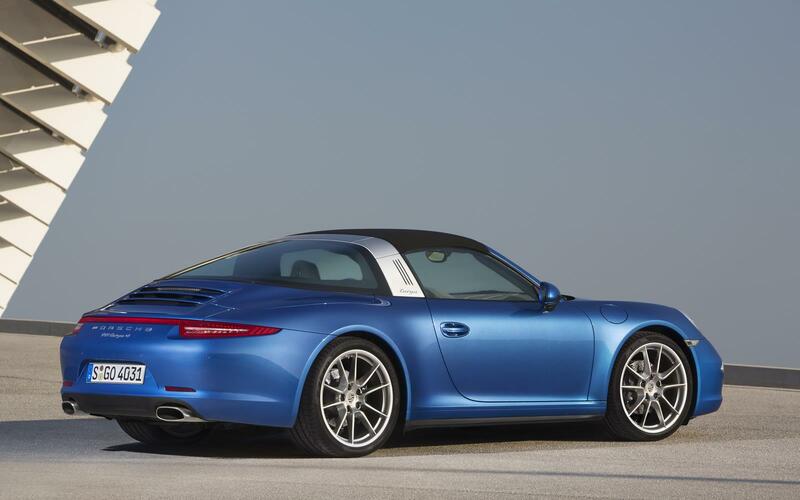 At nigh on £100k, if I had the funds, would I buy the new 911 Targa? 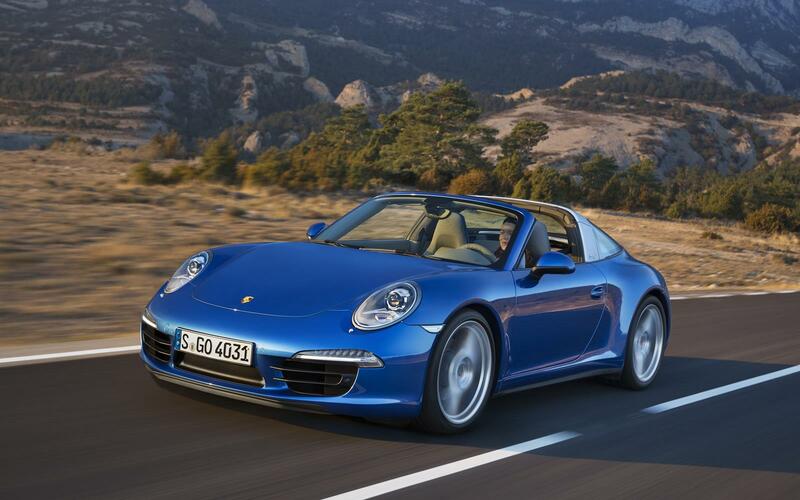 It’s undeniably handsome, it offers the near perfect blend of everyday coupe usability and open-topped supercar go and, Porsche claim, it’ll do 32.5 mpg. But there’s more to it than that. Every time you slip behind its thick rimmed wheel, every time you turn its key, and every time you roll back that roof, it’s an event. Be you in the Madonie Mountains, or just simply enjoying an afternoon’s drive towards Monmouth, that, quite simply, is priceless. 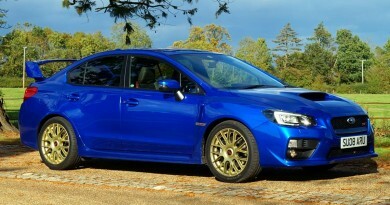 Liam is a freelance Motoring Writer based in the South Shropshire Marches, spending his time in worryingly expensive cars for a number of regional lifestyle magazines.